PAUL BISHOP ~ WRITER: HARDBOILED CORNER: BODY COUNT! Blue collar PI Joe Hannibal made his debut in the Fall 1982 issue of Spiderweb Magazine, marking this his 30th year in print and making the Hannibal stories and books one of the longest-running, still-active series on the fictional PI scene. 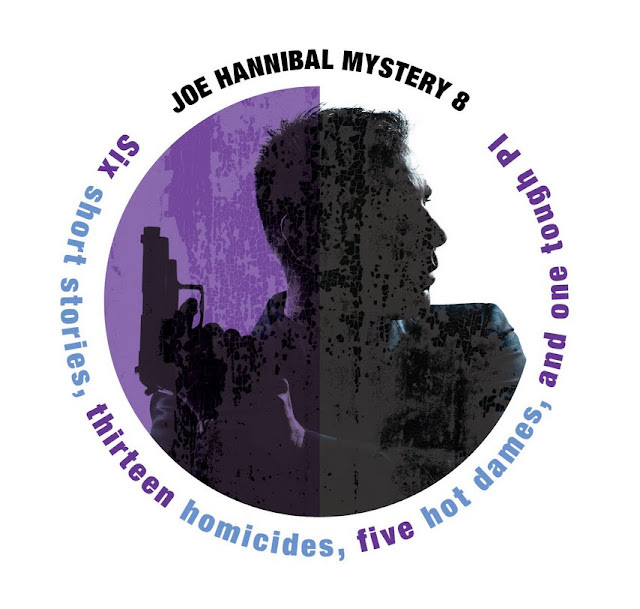 In recognition of this accomplishment, a collection of Hannibal stories spanning his 30-year (so far) career has just been released. Starting with his first appearance in the never before reprinted, "The Fancy Case," through to "The Hard Side of Heartbreak," an original tale written exclusively for this collection. Also included is the Edgar, Anthony, and Shamus nominated title piece, "Body Count." My name's Hannibal. Joe Hannibal. When you've carried a PI ticket for as many years as I have, you're likely to have run up against plenty of different kinds of trouble in plenty of different places. It might come in the form of a runaway Illinois wife whose flight ends up making her a target for far worse than what she was trying to run away from … Or it might be a couple of former partners in the bodybuilding racket whose competitiveness triggers a jealous rage neither of them ever saw coming … Or maybe a high priced call girl whose client list turns into a hit list when the obsession of a highly dangerous man turns lethal. In laid-back rural Nebraska, a thick late-night fog can hold more danger than even the spooky conjuring of an overly imaginative young boy … Or a planned hike through a stretch of remote "badlands" can turn into a life-or-death struggle with a predatory psychopath … And a country western band on the brink of elusive stardom might find their success blocked yet again when deep, simmering secrets from within its members suddenly and destructively boil to the surface. You don't have to take my word for it. I've opened up my files and laid bare some of my most memorable cases spanning the past thirty years. Get ready to discover that there are 'mean streets' to be found everywhere—not just in the bowels of a big city. ALL TOLD, BODY COUNT DELIVERS 50,000 WORDS OF HARDBOILED ACTION FOR THE SUPER-BARGAIN PRICE OF ONLY $0.99!